Positive: Compact size; good dual cameras; powerful processor; fast fingerprint sensor. Negative: Sim and microSD are on the same slot. 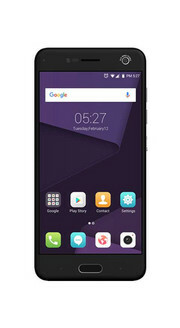 Model: The ZTE Blade V8 Mini offers one of the cheapest ways to upgrade to the newer version of Google's operating system and walk away with a dual-lens camera. The ultra-affordable Android 7.0 Nougat smartphone is the lighter variant of the ZTE Blade V8 Pro revealed at CES 2017. The ZTE Blade V8 Mini does not have the most powerful specs, of course, but many casual phone owners want a fancy camera. The ZTE Blade V8 Mini has a 5-inch HD screen, meaning it is at the lower 720p resolution. 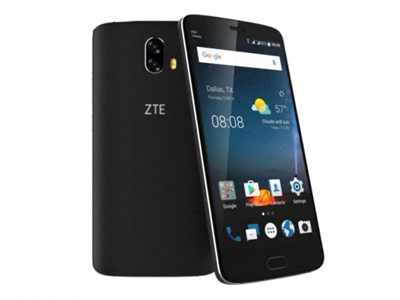 It is more powerful than the ZTE Blade V8 Lite, but it lacks in pixel count. Brightness and viewing angles were respectable. It delivers slightly fuzzy text when a user gets right up close to the screen, but it gets the job done. It has a one-hand friendly design at 143.5 x 70 x 8.9 mm in a metallic body, which was surprising. It does not feel like a very cheap phone. There is a circular fingerprint sensor pad on the back and mini USB port on the bottom, and the users get a headphone jack on this phone. The fingerprint sensor’s 360-degree finger scan enables touch access in 0.3 seconds. The ZTE Blade V8 Mini's big highlight is the dual-lens camera consisting of a 13 MP and 2 MP sensor. Users can refocus photos, which is something the new iPhone can not do, and the Blade Mini camera supports 3D shooting to generate 3D photos. With the depth and distance information, the Blade V8 Mini can make the effect of the pictures as similar as taken by bokeh of SLR camera or even flagships like the iPhone 8 Plus and iPhone X. On the front, it has a 5 MP camera with Beauty mode. 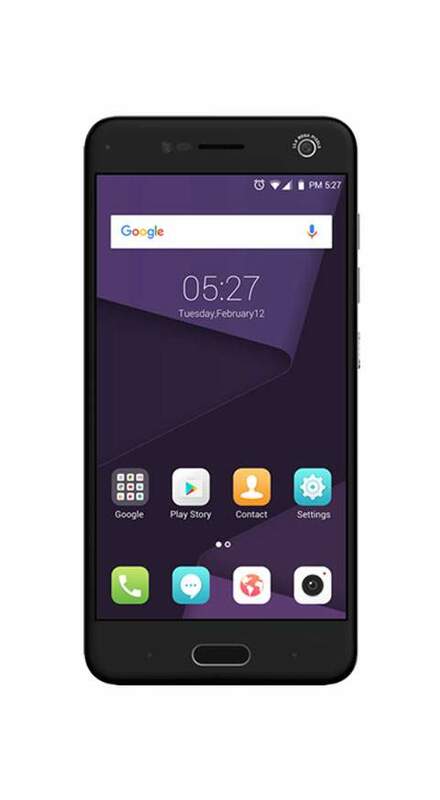 As for hardware specification, it has the Qualcomm 435 chipset, 2 GB of RAM and 16 GB of internal storage and a microSD card slot. The phone is not meant for serious gaming, but it is enough for most everything else. It felt speedy enough for an entry-level handset. ZTE added a custom skin onto Android 7, which kind of takes the sheen off having a cheap phone running Android. It is still as different and divisive as it was on Marshmallow. Hence, Google purists are not going to have a good time. While the battery is not removable, it has a capacity of 2,800 mAh, which is a pretty decent size, given the money. What should help out is the fact that it runs Android 7.0 Nougat, which contains a bunch of battery-saving tricks like Doze Mode 2.0. The battery is charged by a microUSB port on the bottom; not USB-C yet. Other sensors built into the smartphone includes a Proximity sensor, an accelerometer, a compass, and a gyroscope. 82.4%: This rating should be considered to be average. This is because the proportion of notebooks which have a higher rating is approximately equal to the proportion which have a lower rating.